Whichever tour you choose, most tours take a 1/2 day to a full day so keep that in mind when planning. I recommend Roam Belize or Placencia Tourz as we have heard good things about them from former volunteers who have toured with them. Please contact them directly for tour information and pricing. Belize Cockscomb Basin Wildlife Sanctuary is recognized internationally as the world’s first jaguar preserve. It is also known for its spectacular waterfalls, mountain views, nature trails & river tubing. Great tour for the adventurous hiker looking to explore the Belize jungle and rainforest. After a long hike, enjoy a picnic at one of the beautiful waterfalls in the area. Time: 8:00am – 3:00pm. Cost: $85 USD per person. Tour Tikal ruins in Guatemala from Belize and let time rewind a thousand years. 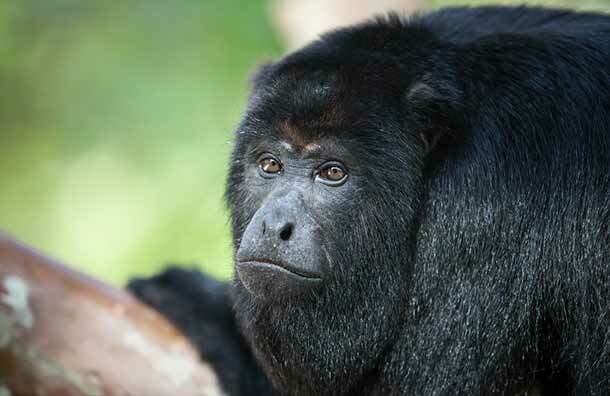 You’ll hear the howler monkeys echoing off the temples and the spider monkeys swinging tree to tree. Tikal is host to toucans and a million other creatures great and small and is the most renowned Mayan Ruin in Central America. Time: 5:00am – 7:00pm. Cost: $275 USD per person. The small village of Monkey River is your gateway to a boat safari into the heartland of Belize’s pristine nature. The small village, located where the Monkey River meets the Caribbean, has a cluster of wooden homes and a dock where participants will board a boat for the tour. As you head upstream, your guide will point out interesting animals and plants along the way. You’ll learn about the history of the region, occasionally seeing locals carrying on with traditional occupations like fishing. Time: 8:00am – 2:00pm. Cost: $85 USD per person. 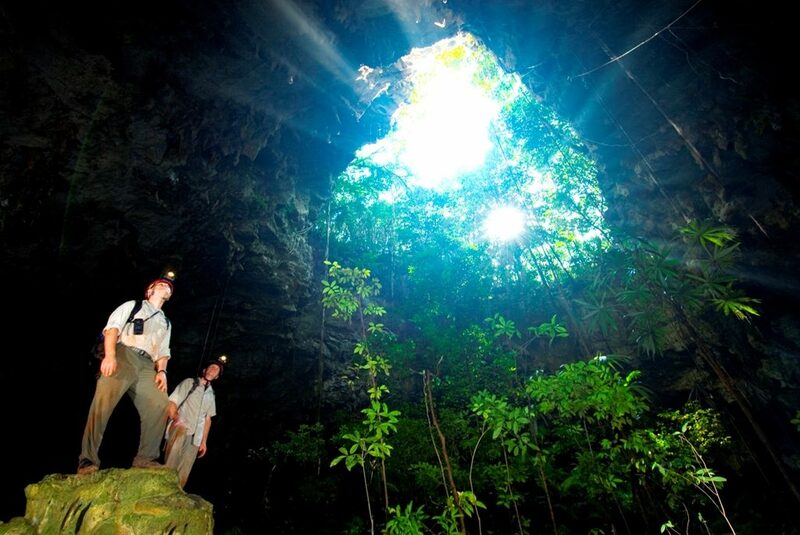 Your Belize cave tubing adventure starts with a jungle trail hike where your guide will point out various plants, roots, and herbs once used by the ancient Maya. Your guide hands out head-lamps, and you are ready to float on inflated inner tubes assisted by gentle currents taking you through the cave system. Intricate crystalline formations line the caves and stalagmites and stalactites add to the serene opulence of nature. After a few hours relaxing inside the caves you can zipline through the rainforest. Time: 7:00am – 5:00pm. Cost: $160 USD per person. The chocolate making sessions at the living Mayan Museum offers you the best of real Mayan culture and its authenticity. Experience the traditional Mayan way of making chocolate from bean to bar. 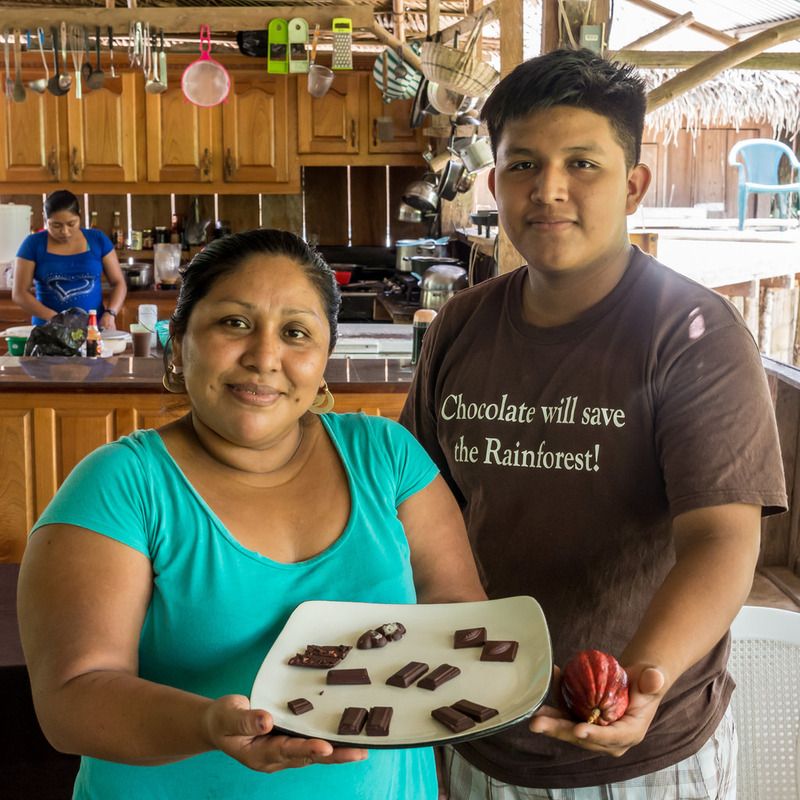 Cacao beans are grown by local farmers in Maya Center Village and are certified organic. Time: 9:00am – 1:00pm. This truly unique climbing, caving, and rappelling adventure begins with a 7:00 AM departure time from Placencia. A short while later, participants will reach the Caves Branch Jungle Lodge. From there, it’s time to suit up for a vigorous hike up into the Maya Mountains to reach Actun Loch Tunich, known by the Maya as the “Mother of All Caves”. Time: 7:00am – 5:00pm. Cost: $195 USD per person. Tours takes place at Palmento Grove in Hopkins, a small family run lodge that offers a unique opportunity to learn and interact with our local Garifuna people and immerse yourself in the impressive masterpiece of the oral and intangible heritage of humanity as declared by UNESCO. It promises to be a memorable experience of true cultural enrichment. Time: 8:00am – 3:00pm. Cost: $125 USD per person. If you like adventure, Bocawina boasts the longest zip line in Belize and is the hotspot for waterfall rappelling. Enjoy zip lining through the dense jungle and enjoy a true Belize rainforest experience. Soar with the birds on the longest zip line in Belize through the pristine canopy of the jungle. The area has two unexcavated Mayan mounds and many unexplored Maya archeological sites. Vast amounts of flora and fauna can be seen along the hiking trails. Bocawina Adventures has the only waterfall rappelling in Belize and it’s for all skill levels. You can choose to rappel down Antelope Falls with a drop of 500 feet, rappel down Big Drop Falls or the family friendly Bocawina Falls. Time: 8:00am – 1:00pm. Cost: $140 USD per person for zipline only (Add $60 USD for water repelling at Bocawina Falls or add $100 for rappelling at Antelope Falls). This tour offers you a fascinating glimpse into a fast disappearing world in which the local Kek’chi Maya depended upon the jungle for everything they need. From food, building materials, furniture to medicine even musical instruments. You will experience how the Mayan lived fifty years ago before the modern world began to encroach. Come, learn, prepare your traditional Mayan meal and enjoy a cultural experience you will not soon forget. Time: 8:00am – 4:00pm. Cost: $125 USD per person. Come for a ride on a beautiful family owned private ranch. The Belize horseback riding adventure is perfect for both the experienced and non-experienced riders. The staff and herd of gentle, well trained horses will ensure you have a great time. A cool dip in the river is quite an experience too at a natural swimming hole nested between two small rapids where you can spend up to an hour enjoying the soothing water. Time: 9:00am – 2:00pm. Cost: $100 USD per person. Travel the beautiful hummingbird highway then climb the magnificent Xunantunich Mayan ruin, also known as the “Maiden of the Rock”. It stands 130 feet high, the second tallest Mayan ruin in Belize, and gives a panoramic view of the Cayo District, Guatemala and the Mopan River. On your way back, stop at the inland blue hole for a refreshing swim in the jungle. Time: 7:00am – 5:00pm. Cost: $125 USD per person. A journey deep beneath the earth into Actun Tunichil Muknal (ATM) Cave is a rare chance to visit the sacred heart of the ancient Maya underworld. Once used for bloody human sacrifices, ATM cave was left undisturbed for more than 1,000 years. Recently named as the number one sacred cave destination in the world by National Geographic, ATM is not only beautiful with its enormous caverns and crystal stalactites but also impressive as a natural museum of the ancient Maya world. Time: 7:00am – 5:30pm. Cost: $195 USD per person. This in an off the beaten path tour that allows you to immerse yourself with the true locals at the picturesque little town of Dangriga which still remains undiscovered – no fancy resorts or restaurants just authentic local cuisine and people! Time: 8:00am – 3:00pm. Cost: $125 USD per person.